Air Quality Forecasts resume in Spring 2019. Utilize alternative modes. 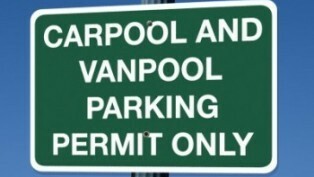 Carpooling, vanpooling and using transit when possible takes cars off our roads and reduces the emissions that lead to poor air quality. Avoid vehicle idling. Save gas and prevent pollution by turning your car off when you have to wait. Walk and bike more. 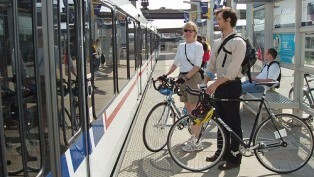 When weather and air quality conditions are favorable, considering walking or biking for short trips around town. Choices we make every day affect our air quality and the health of our region. The way we commute, the time we spend idling our cars and even the temperature setting in our homes can all impact the amount of ozone forming emissions generated on any given day. While the negative effects of air pollution are far-reaching, there are a wealth of steps we can take as a community to help reduce emissions and improve our region’s air quality. Simple changes in your business operations can have a positive impact on our region’s air quality. Each one of us can play a big role in the fight for cleaner air. There are countless opportunities for cities to join the regional clean air effort. The Clean Air Partnership provides free no-idling signs as part of the “Turn Your Key, Be Idle-Free” campaign.